Vintage Christmas Card from…. ? 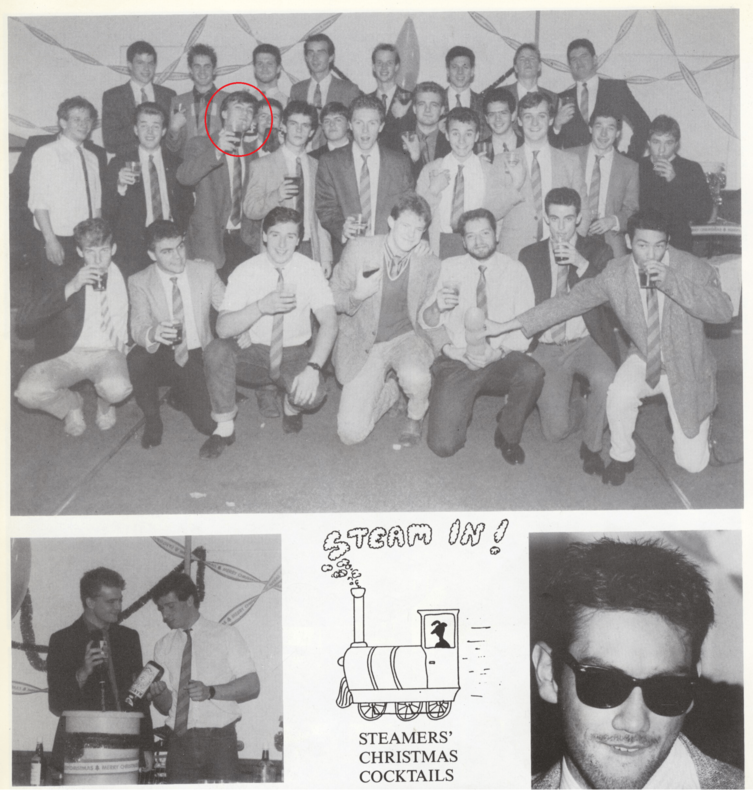 An elite all-male Oxford drinking club sent this Christmas greeting many years ago. Can you identify the arrogant, born-to-lead, public school educated member of the Oxford University Conservative Association ringed in the picture? Guido will give you a topical clue. The young politico was pictured wearing Nazi uniform at another Steamers’ party, as seen on the reich right. Do you know who it is yet? Incidentally, can anyone identify any of the other Steamers who ended up in public life?